I received my B.A. from Barnard College and my Ph.D. in Psychology from the University of Chicago. My research interests include culture and social motivation; culture and the development of theory of mind; close relationships, interpersonal reciprocity, and social support; social cognition and moral development; adolescence and parent-child relationships; and cultural psychology. I am a professor of psychology and Director of Undergraduate Studies at the New School for Social Research. Harwood, R. H., Miller, J. G., & Irizarry, N. L. (1995). 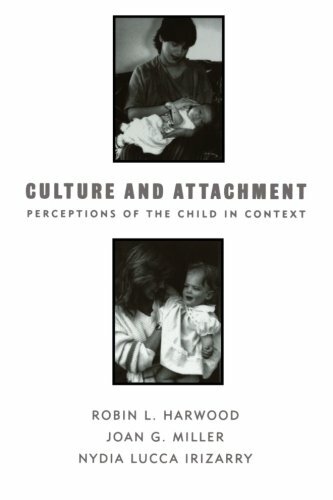 Culture and attachment: Perceptions of the child in context. New York: Guilford Press. Miiller, J.G., Chakravarthy, S. & Das, R. (2008). The moral emotions of guilt and satisfaction: A cross-cultural perspective. European Journal of Developmental Science, 2, 236-250. Miller, J. G. (2002). Bringing culture to basic psychological theory: Beyond individualism and collectivism: Comment on Oyserman et al. (2002). Psychological Bulletin, 128(1), 97-109. Miller, J. G. (1999). Cultural psychology: Implications for basic psychological theory. Psychological Science, 10, 85-91. Miller, J. G. (1994). Cultural diversity in the morality of caring: Individually oriented versus duty-based interpersonal moral codes. Cross Cultural Research, 28, 3-39. Miller, J. G. (1984). Culture and the development of everyday social explanation. Journal of Personality and Social Psychology, 46, 961-978. Miller, J. G., & Bersoff, D. B. (1998). The role of liking in perceptions of the moral responsibility to help: A cultural perspective. Journal of Experimental Social Psychology, 34, 443-469. Miller, J. G., & Bersoff, D. M. (1994). Cultural influences on the moral status of reciprocity and the discounting of endogenous motivation. Personality and Social Psychology Bulletin. In D. Miller & D. Prentice (Eds. ), Special issue on "The self and the collective: Groups within individuals", 20, 5, 592-602. Miller, J. G., & Bersoff, D. M. (1992). Culture and moral judgment: How are conflicts between justice and interpersonal responsibilities resolved? Journal of Personality and Social Psychology, 62, 541-554. Miller, J.G., Das, R., & Chakravarthy, S. (2011). Culture and the role of choice in agency. Journal of Personality and Social Psychology, 101, 46-61. Wellman, H.M. & Miller, J.G. (2006). Developing conceptions of responsive intentional agents. Culture and Cognition, 6, 27-55. Wellman, H., & Miller, J. (2008). Including deontic reasoning as fundamental to theory of mind. Human Development, 51, 105-135. Miller, J.G. (2006). Cultural psychology of moral development. In S. Kitayama & D.Cohen (Eds.). Handbook of Cultural Psychology (pp. 477-499). New York: Guilford Press. Miller, J. G. (2003). Culturally sensitive research questions and methods in social psychology. In C. Sansone, C.C. Morf, & A. T. Panter (Eds. ), Sage handbook of methods in social psychology (pp. 93-116). Thousand Oaks, CA. Miller, J. G. (2003). Culture and agency: Implications for psychological theories of motivation and social development. In V. Murphy-Berman & J. Berman (Eds. ), Nebraska symposium on motivation: Cross-cultural differences in perspectives on the self (Vol. 49, pp. 59-99). Lincoln, Nebraska: University of Nebraska Press. Miller, J. G. (2001). Culture and moral development. In D. Matsumoto (Ed. ), The handbook of culture and psychology (pp. 151-169). New York: Oxford University Press. Miller, J. G. (2001). The cultural grounding of social psychological theory. In A. Tesser & N. Schwarz (Eds. ), Blackwell handbook of social psychology: Volume 1. Intrapersonal Processes (pp. 22-43). Blackwell: Oxford, UK. Miller, J.G., & Boyle, J. Patrick. (2013). Culture and social psychology. In T. Millon & M. Lerner (Eds. ), Handbook of psychology: Vol. 5, Personality and social psychology 2/e, (pp. 507-528.) New York: John Wiley & Sons.